These pens are reliable and even flow of ink meaning that the point glides softly and smoothly over the paper. 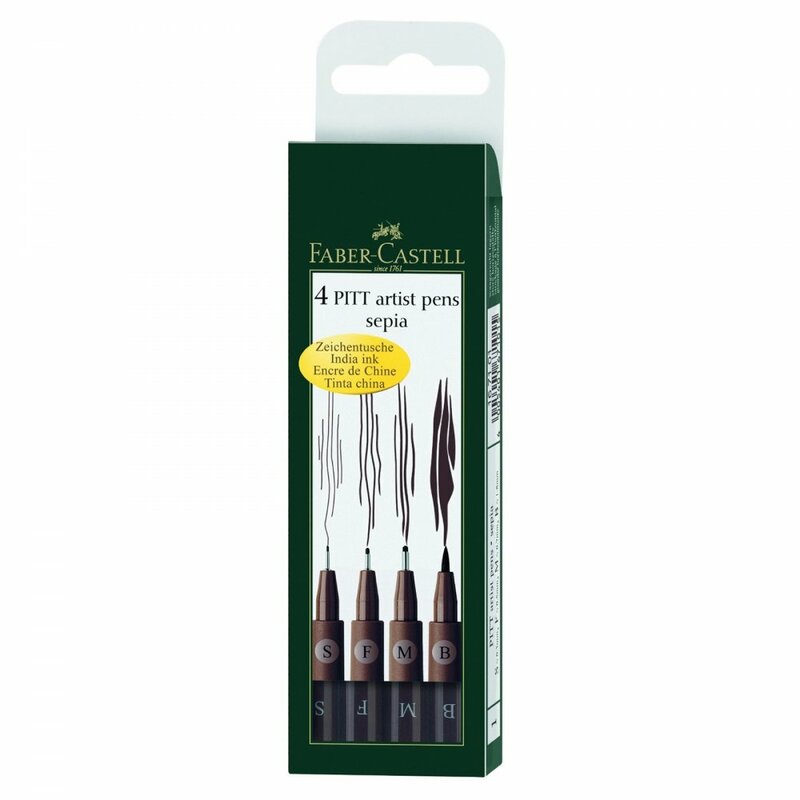 The Pitt Artist Pens are ideal for graphic artists, designers, illustrators and architects. They are especially suitable for drawings and plans, lettering, layout work and many similar uses. The pack contains 4 sizes superfine, fine, medium and brush.